There is a purpose for it all. Todd had the perfect life: a thriving ministry, a happy and healthy family, and a bright future. All of it was interrupted when his oldest daughter, Makenzie, was killed in a traffic accident. Needing to heal, Todd took a leave of absence from ministry and went to work for a friend's company that refines gold and silver. As a refiner, Todd realized that the process of refining metal paralleled the grief and healing that he and his family were experiencing. 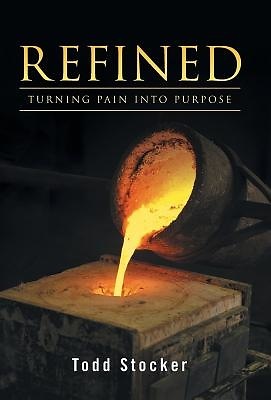 In his book, " Refined," Todd examines principles that help answer the questions that surface when pain and tragedy poke their noses into our lives. Whether you have experienced the tragic loss of a loved one or struggle with the daily frustrations of life, Refined will help you understand what God may be up to. Each chapter includes discussion topics.